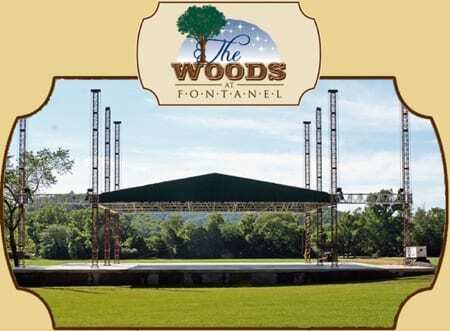 The Woods at Fontanel is partnering with Anchor Trailways & Tours and the Nashville Songwriters Hall of Fame Foundation to present its first concert, Songwriters Sing For Nashville. The benefit for flood relief is scheduled for Saturday, July 17, 2010 from 4:30 to 8:00 p.m.
Songwriters Hall of Fame inductees slated to perform include Roger Murrah (Board Chairman of the Nashville Songwriters Hall of Fame Foundation), Matraca Berg, Bob DiPiero, Kye Fleming, Dallas Frazier, Dickey Lee, Dennis Morgan, Hugh Prestwood, Mark D. Sanders, Don Wayne, Jim Weatherly, Mike Reid, and surprise guests. All ticket proceeds and all receipts from the day’s tours at the Fontanel Mansion will be donated to First Tennessee Bank for flood relief. Tickets for members of select music-related organizations will go on sale tomorrow, (6/16) at 10 a.m. Public tickets will go on sale Saturday morning.